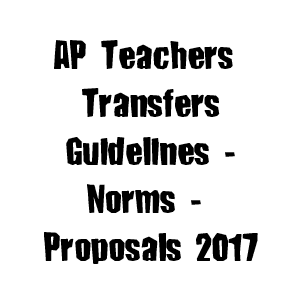 Hense we request to read the draft proposals of AP Teachers transfers guidelines 2017, send your opinions to cseap.est3@gmail. com. Download the copy of the draft proposals of Ap teachers transfers.